For months now I have been following a local blog that is attempting to document the steps and hurdles that they are experiencing while starting up a craft brewery. 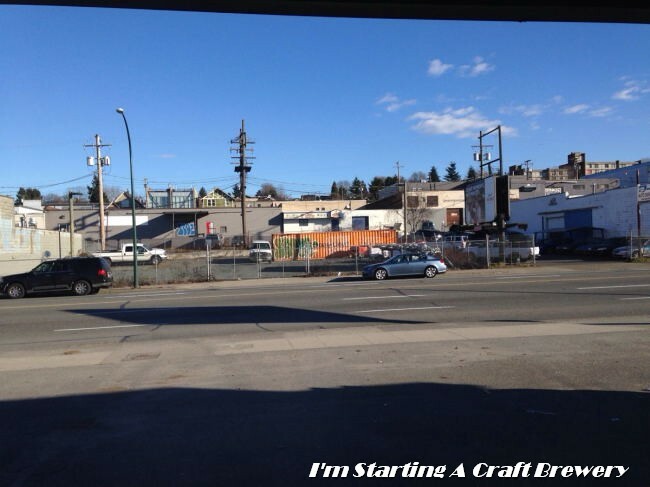 The blog in question is called I’m Starting A Craft Brewery and is a really interesting read. A while back their twitter account posted a photo titled something like “look at the view from our front door”. This is that exact photo (Thanks for letting me use it!). On Sunday February 23rd I was out for an epic urban walk in the snow as the snow pack was far to unstable for snowshoeing. 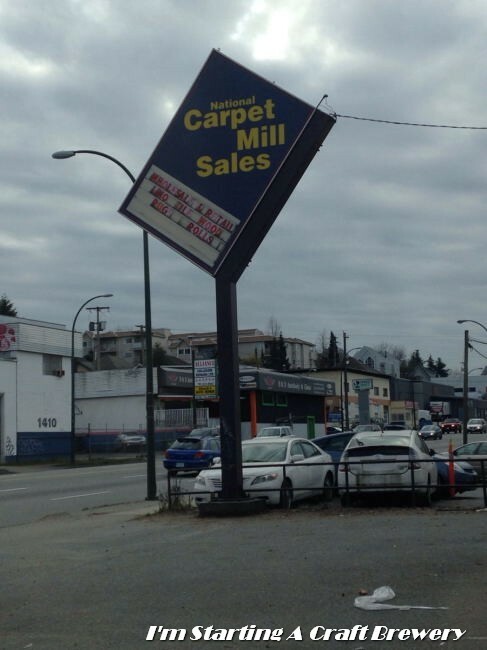 Walking down Clark Drive I came across this very familiar view in the photo and a warehouse with a Leased sign on it. I walked up to the overhead door and took my phone out and hunted their twitter profile until I came across the photo again. Aha I had found the location of this future brewery with some good old Sherlock Holmes detective work and all by accident. After a few messages back and forth I was invited to have a walk through their space and talk about their plans for the brewery. 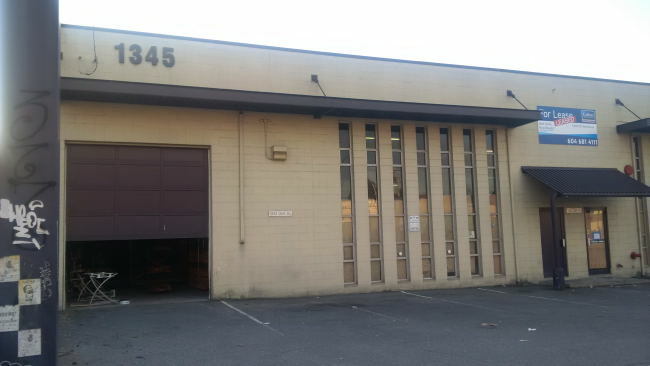 I met With one of the Co-founders of this brewery Aaron Jonckeere on February 27th for my look at the brewery space. He his a third Generation Home Brewer himself although he will not be the brewmaster (More on that later). His Grandfather immigrated to Canada and hated all the beer offered here. He learned how to homebrew and passed it down. Aaron’s Background professionally is in sales starting in Pharmaceutical sales and moving to Real-estate. He will be the driving force of the sales for the brewery. The brewery will have a 30HL system which is a pretty large system for a Micro Brewery locally. They are going to have a full lounge, retail space, barrel aging room with views into the brewery. The beer will be available both on draft and packaged but they have not decided on bottle or cans and sizes of said packaging. There is a little sneak peak at what the layout will be for the brewery when it is finished. There is currently no name for the brewery and they are going to keep it that way for the time being. There has been a few handful of names so far but when it came down to it none of them really worked. Once they found the one they liked it turned out they could quite possibly not use it as a winery that sells in BC has a name that translated to that exact name. Back to Square one. So understandably they are going to keep the name private until it is 100%. Just announced yesterday though by Jan Zeschky is who Aaron’s Partner and Brewmaster is. Ian Hill well know for his work at Mark James Group’s Yaletown Brewing Company as head brewer has been working with Aaron for quite a while behind the scenes. Ian Hill has been at Yaletown Brewing forever and a day and this will be an exciting new challange for him to take on. The beer that they will produce is still under wraps at this point but as Ian Hill told Jan “…you might imagine that a sour program is very important to me”. So all you fellow Sour Beer nerds take notice! No opening date is as of yet set but plans are well under way. Keep your eyes locked here in the future as I hope to be able to periodically check in on their progress. Working in the construction field I am a bit of a nerd for how things like this come together. My Fingers are crossed. So when you are driving down Clark Drive look for the address 1345 Clark Drive. This is where the Magic will be happening in the future (and I hope near future!). This entry was posted in Brewery and tagged brewery, ian hill, under construction, Unnamed Brewery. Horray! More BC sours on the way. Ya it’s exciting to dream of an actual sour program by Ian! I can’t wait. I am hoping this will be the Vancouver equivalent of Cascade, but maybe even better tasting beers. Also stoked that there is yet ANOTHER brewery that will be within a 5 minute bike ride or 20 minute walk from my place! I’m only a few blocks west on Great Northern off Clark! I don’t know if it will be quite Cascade as their barrel room is a bit small for that much Sours. Should be amazing anyways. Ian Hill is amazing!